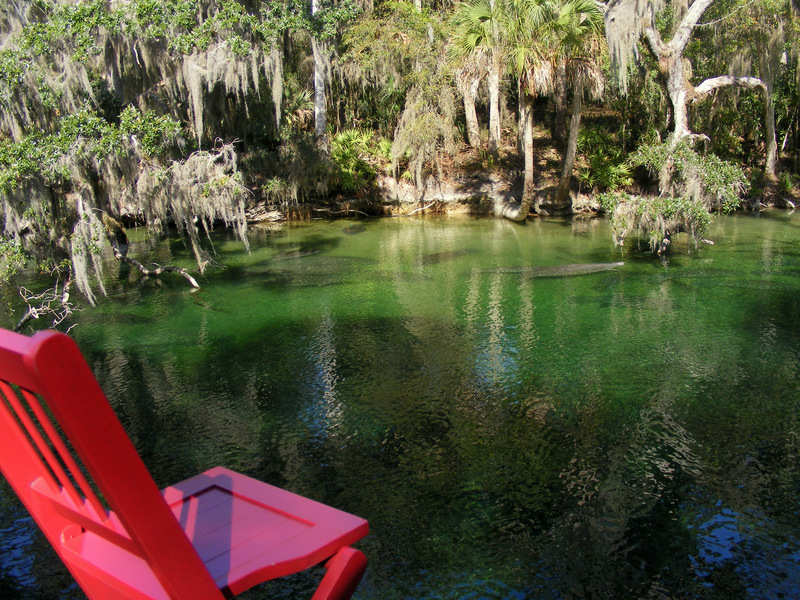 The 73-degree water of Blue Spring draws a large population of manatees every winter. There were over 70 there on the day of our visit. 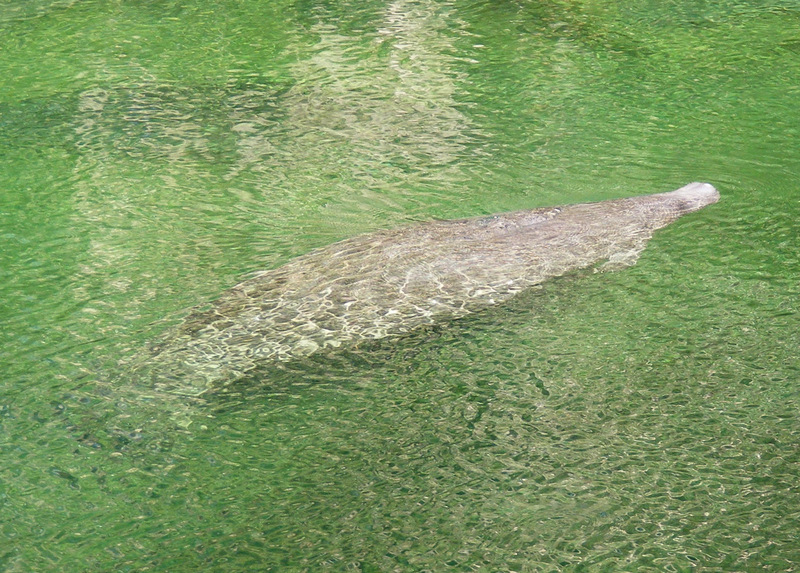 Most of the time, the manatees just floated below the surface, coming up occasionally for air. 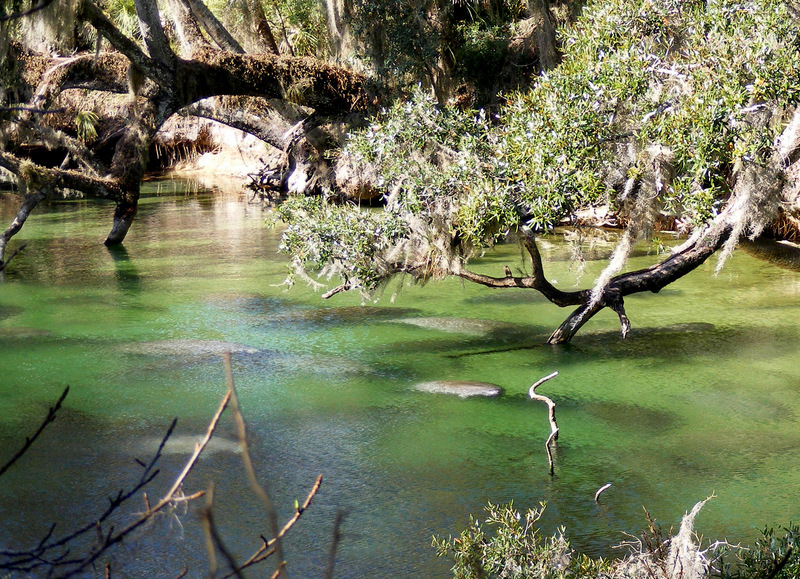 A few were grazing on the bottom, and one was chewing at the bark on a fallen tree in the water. 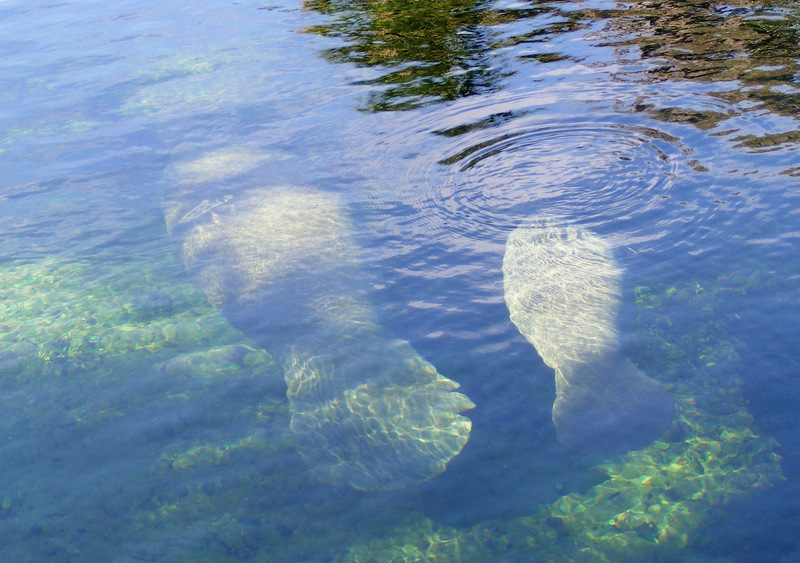 Once in a while, one or two would swim lazily by beneath the viewing decks. 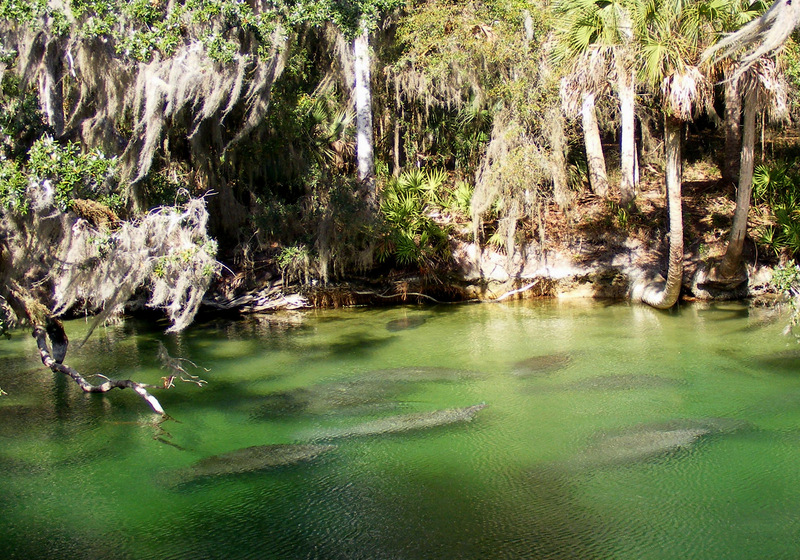 The manatees share the run with alligators, but apparently have little to fear from them. 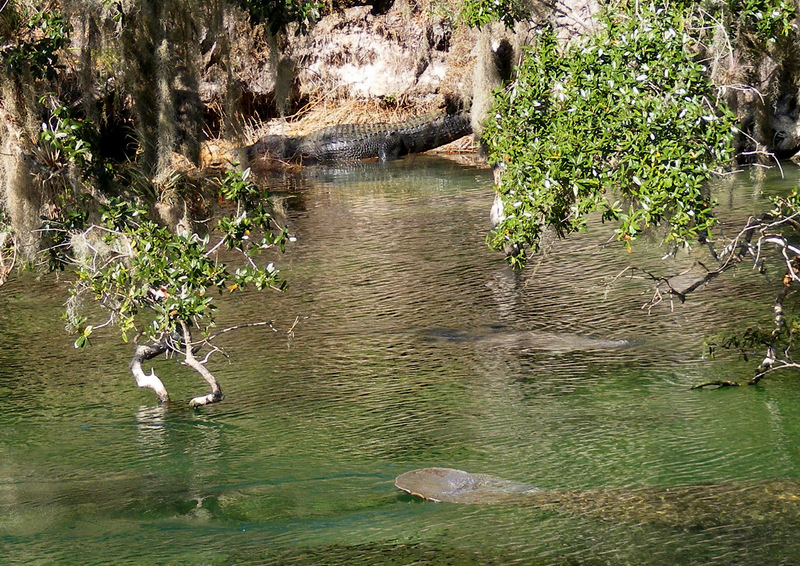 Here are some swimming near a large alligator that just climbed out of the water onto the bank. And, of course, the obligatory red chair photo. This entry was posted in Mammals, Red Chair. Bookmark the permalink.